Hong Kong University Press, 9789888208746, 304pp. 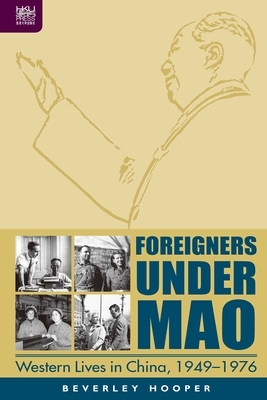 Foreigners under Mao Western Lives in China, 1949–1976 is a pioneering study of the Western community during the turbulent Mao era. Based largely on personal interviews, memoirs, private letters, and archives, this book ‘gives a voice’ to the Westerners who lived under Mao. It shows that China was not as closed to Western residents as has often been portrayed. The book examines the lives of six different groups of Westerners ‘foreign comrades’ who made their home in Mao’s China, twenty-two former Korean War POWs who controversially chose China ahead of repatriation, diplomats of Western countries that recognized the People’s Republic, the few foreign correspondents permitted to work in China, ‘foreign experts’, and language students. Each of these groups led distinct lives under Mao, while sharing the experience of a highly politicized society and of official measures to isolate them from everyday China. Beverley Hooper is emeritus professor of Chinese studies at the University of Sheffield in the UK. She is the author of Inside Peking A Personal Report, Youth in China and China Stands Up Ending the Western Presence 1948–1950.